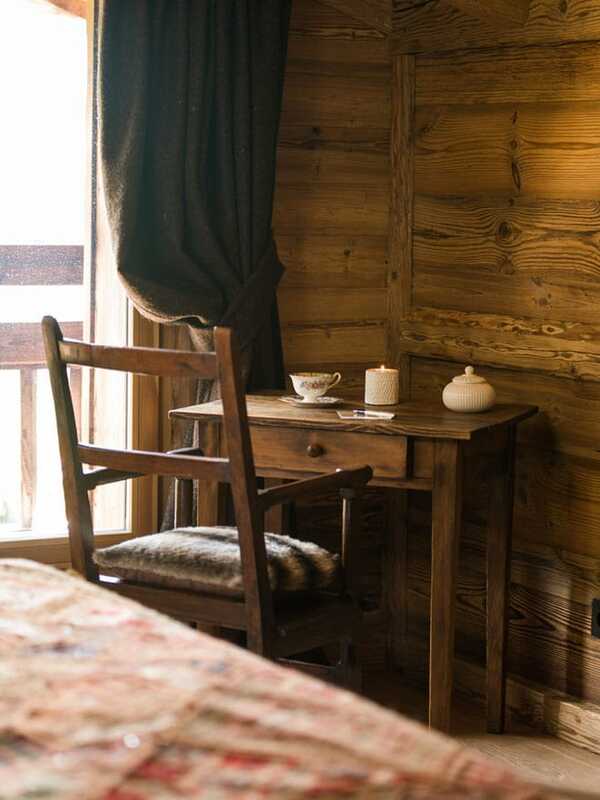 Marmotte Mountain Zenith (1). 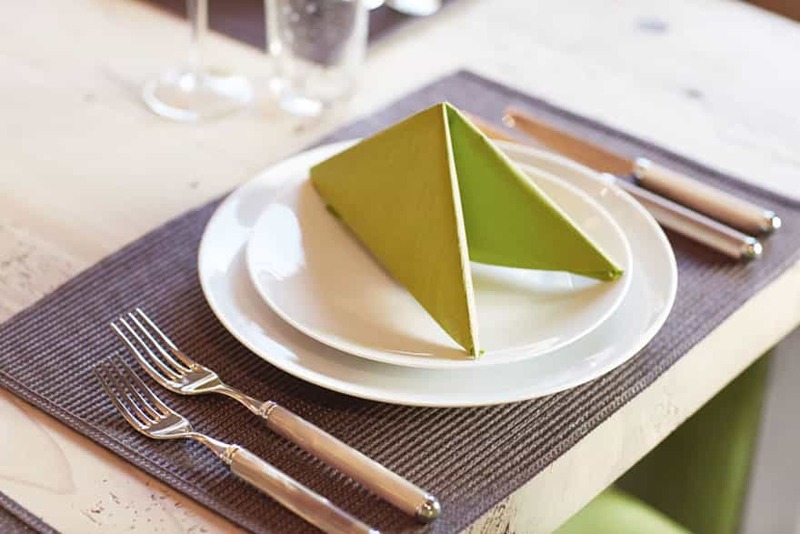 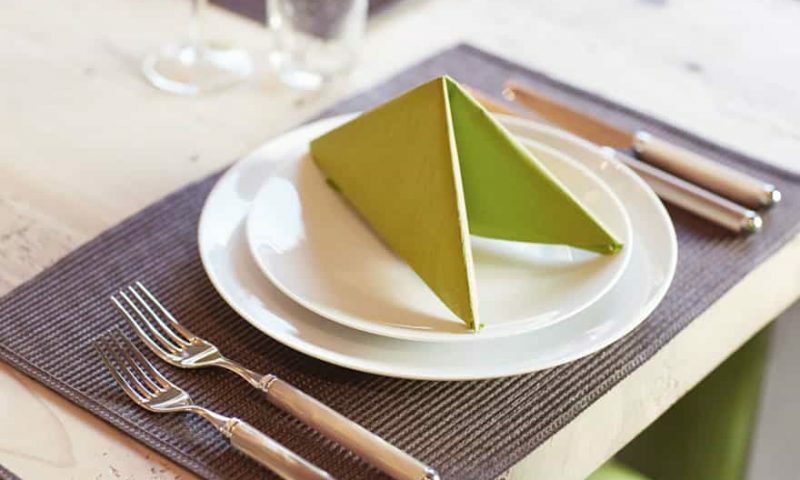 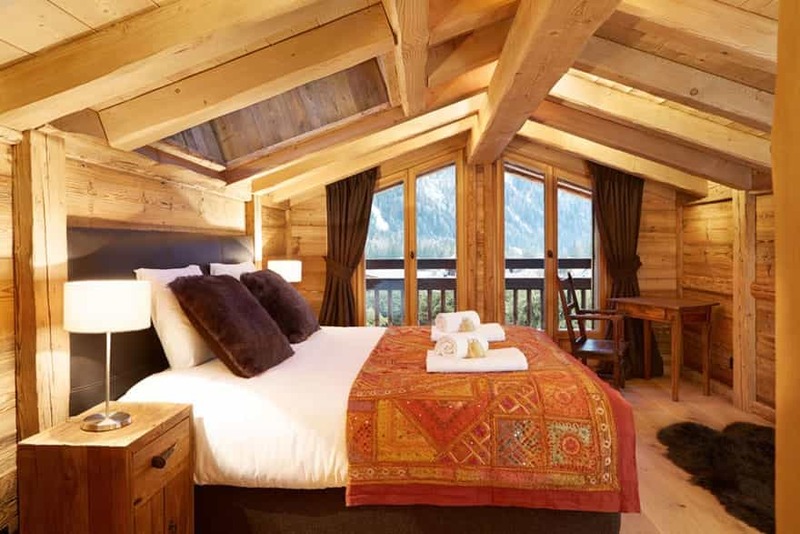 Located in Argentiere, Chamonix. 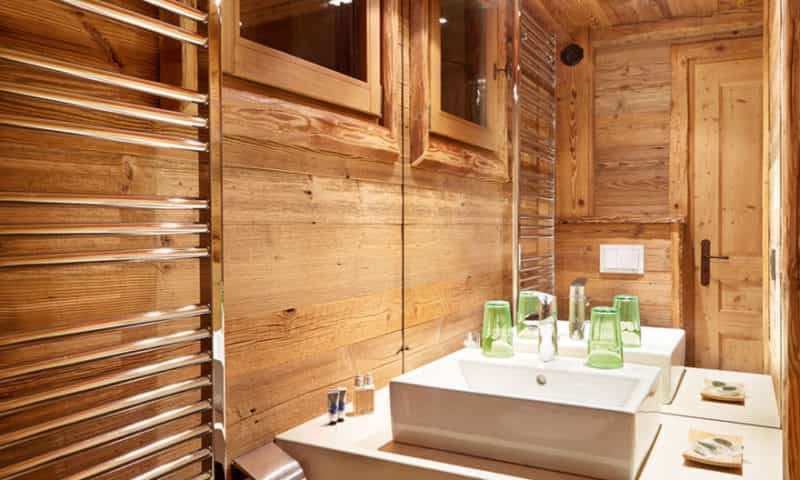 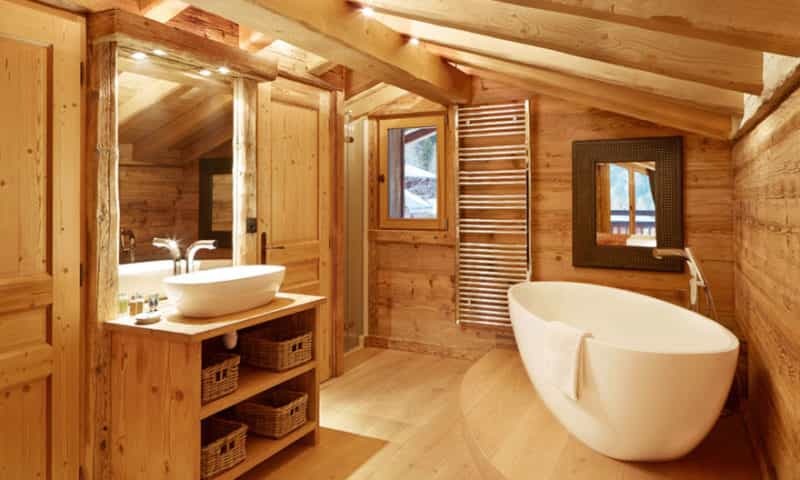 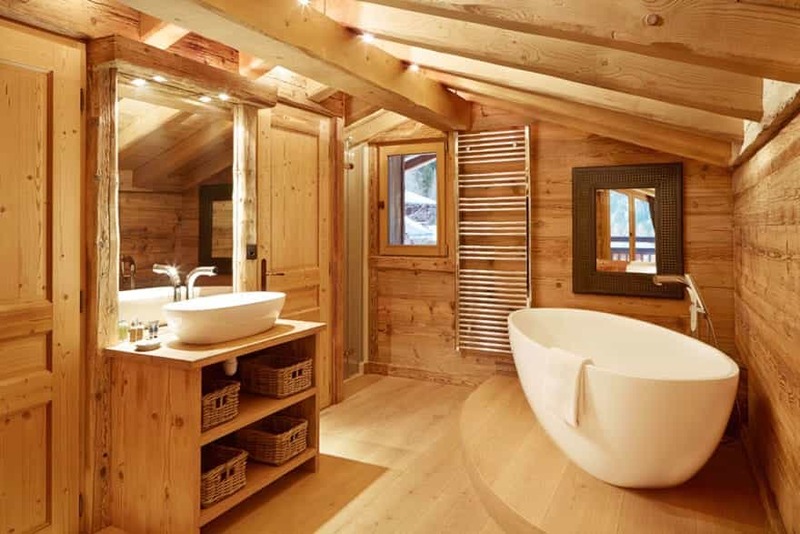 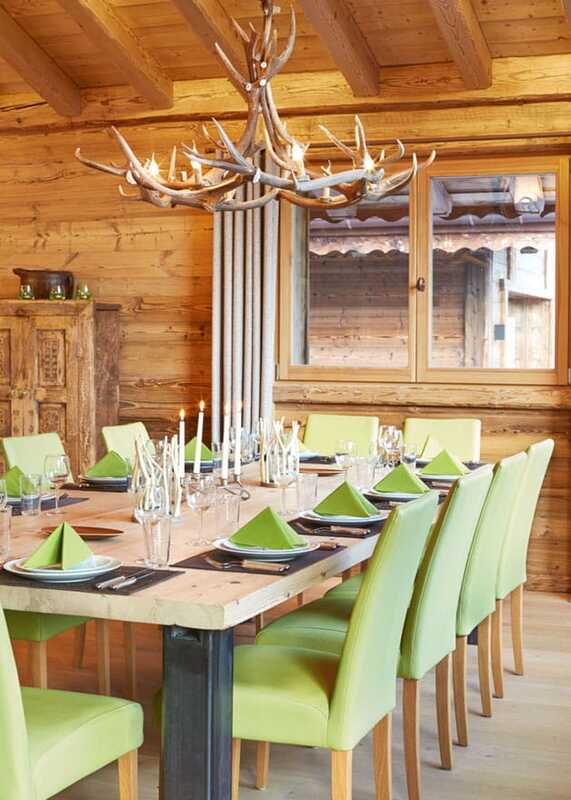 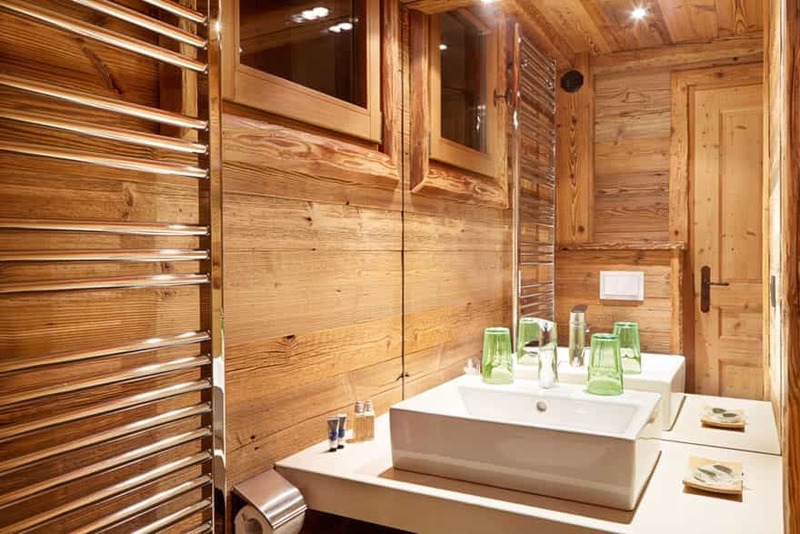 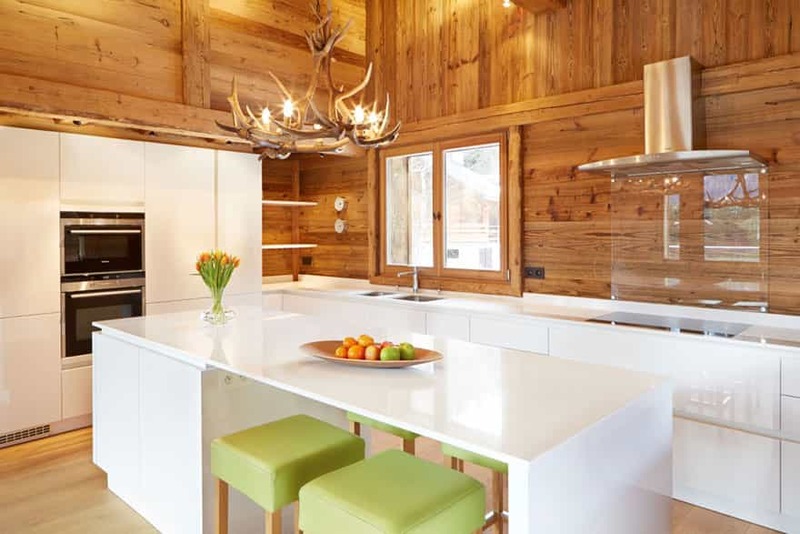 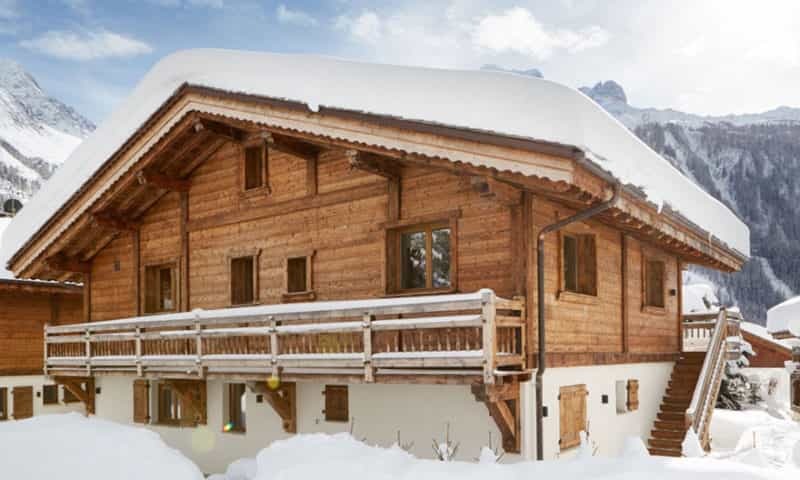 Marmotte Mountain Zenith (1) is a luxury 7 bedroom chalet located in Argentiere – Chamonix. 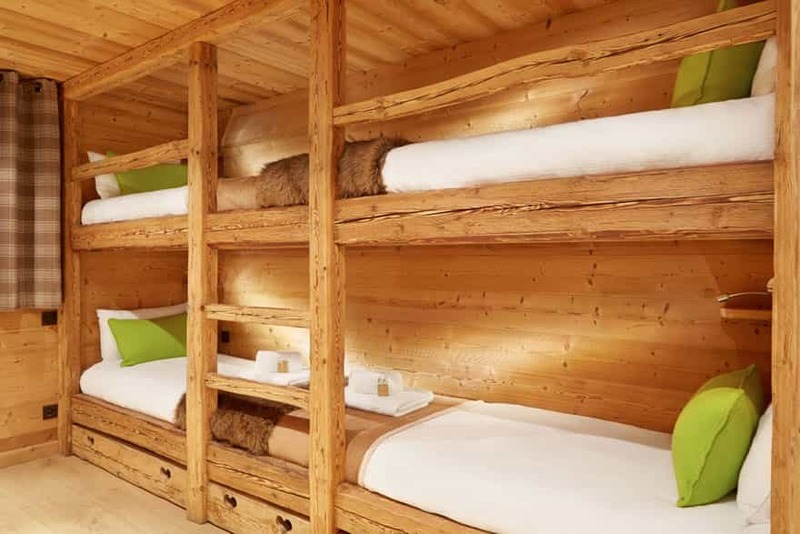 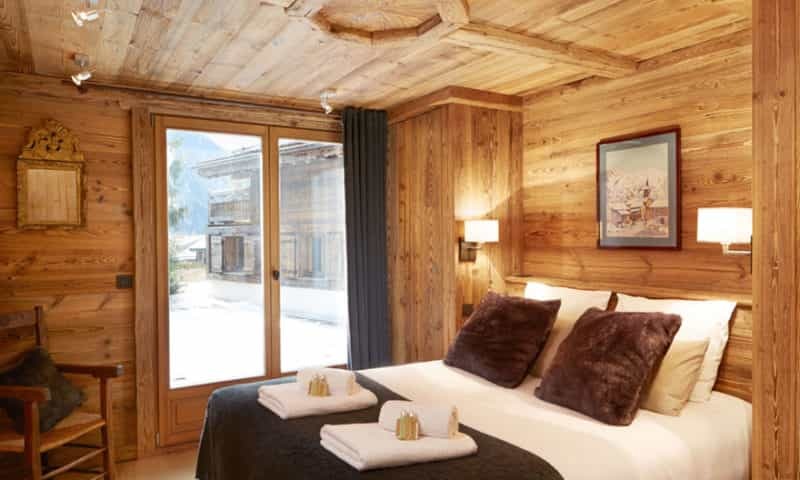 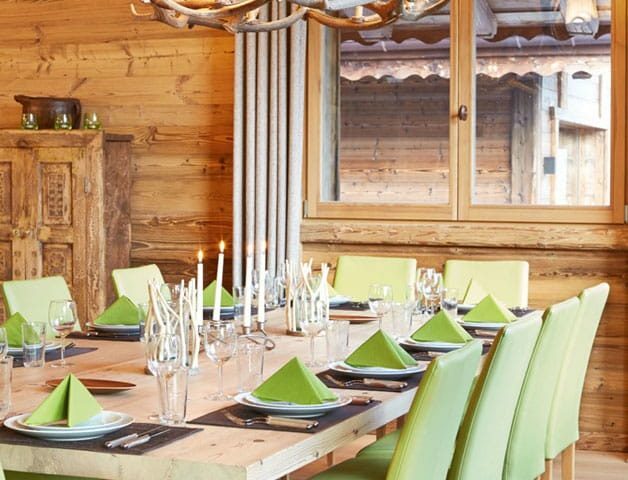 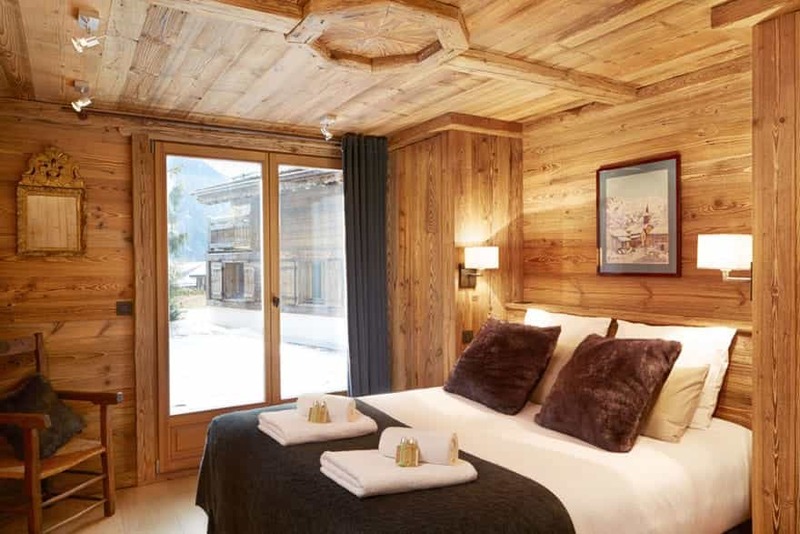 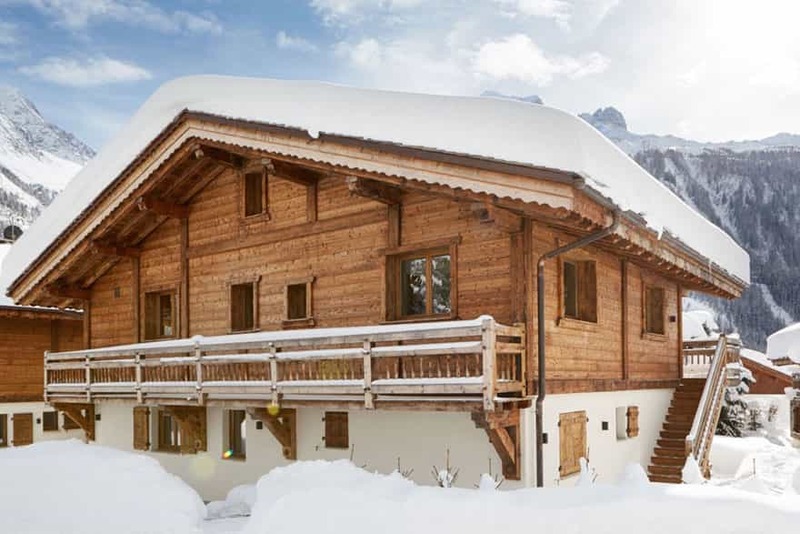 Chalet Zenith (1) can sleep 10-16 guests and features spectacular panoramic views of the infamous world renowned ski resort – les Grands Montets. 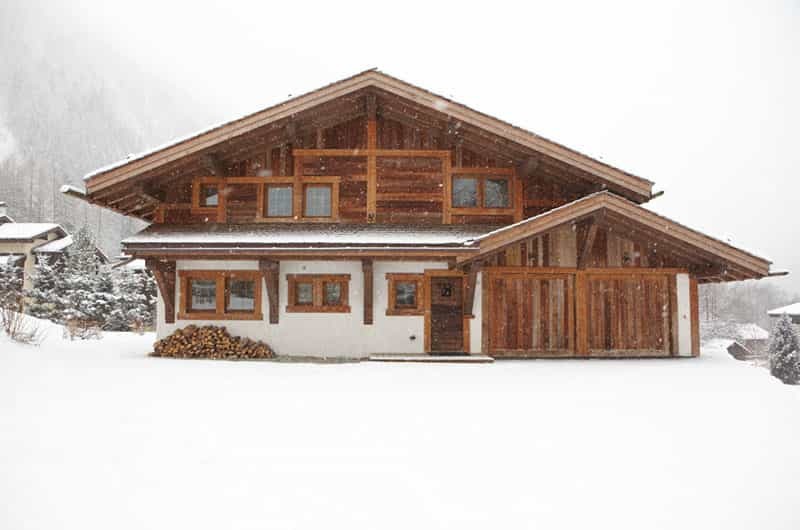 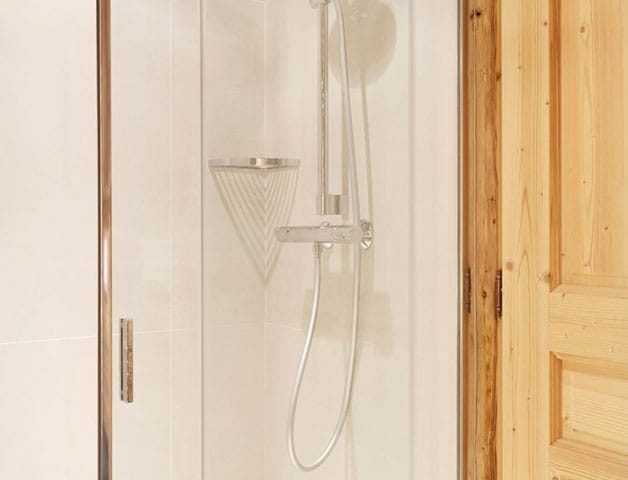 Constructed in December 2013, Marmotte Mountains Zenith (1) has been designed with incredible attention to detail. 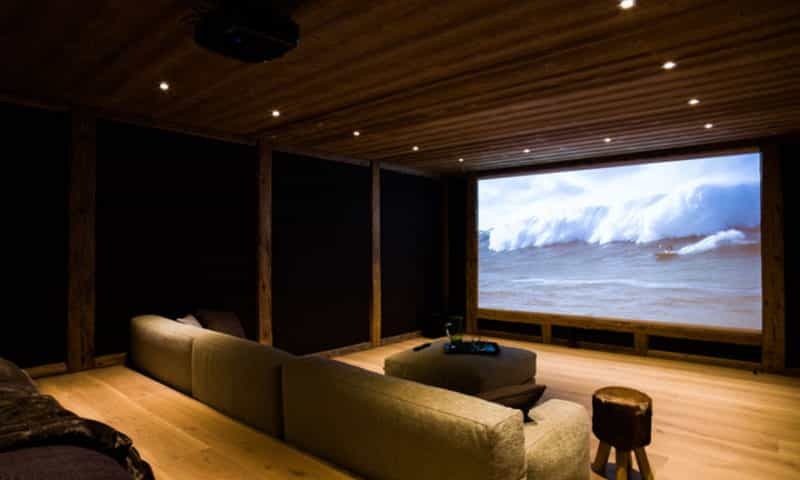 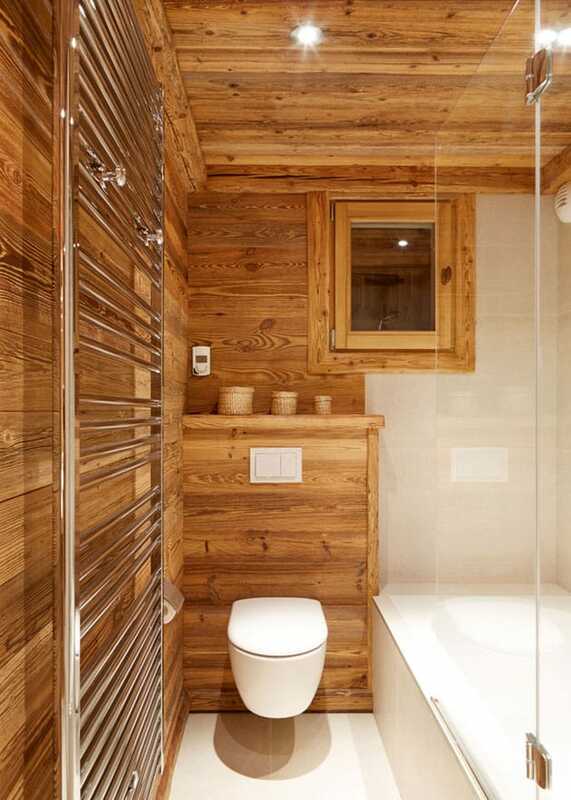 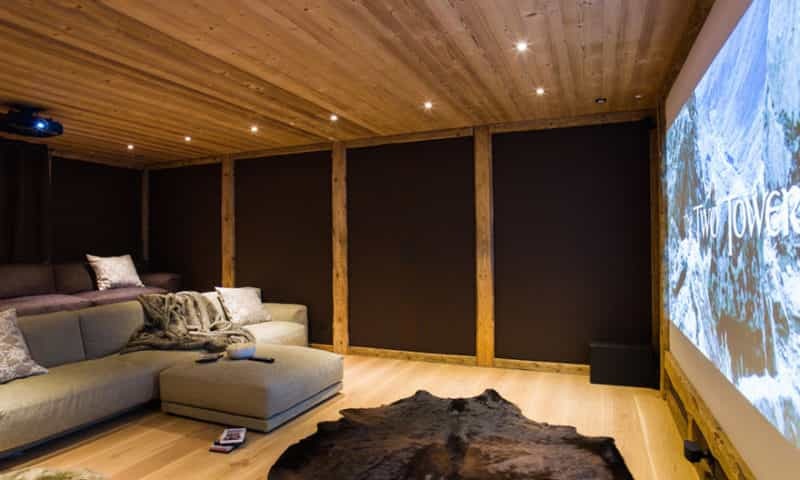 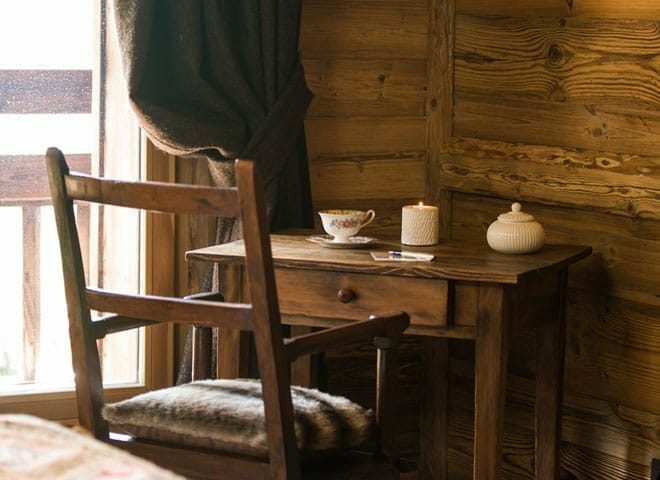 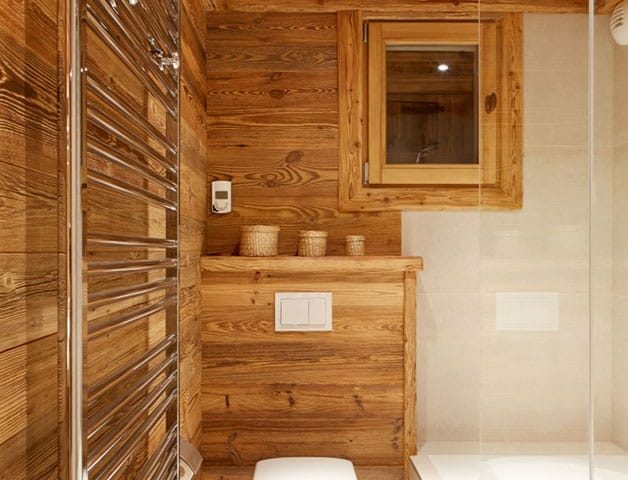 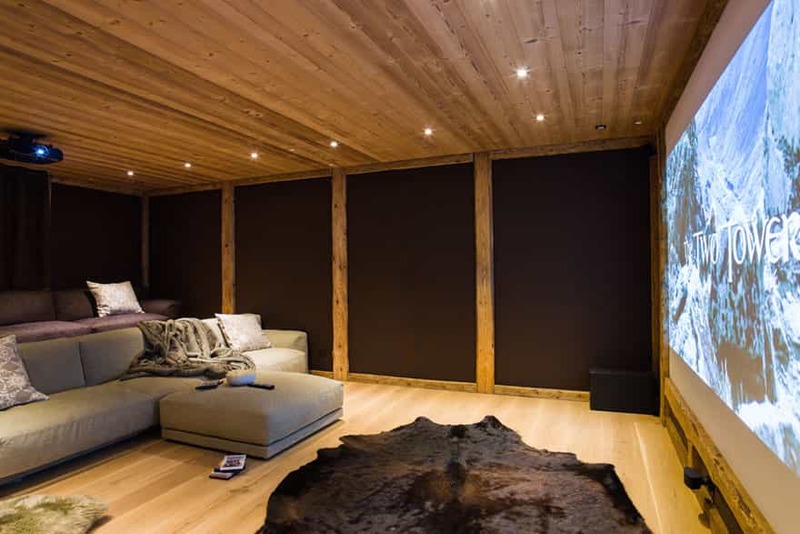 Built to a spectacular high quality finish using beautiful old aged wood, Marmotte Mountain Zenith (1) creates a unique luxurious ambience by blending contemporary quality furniture with traditional mountain chalet architecture. 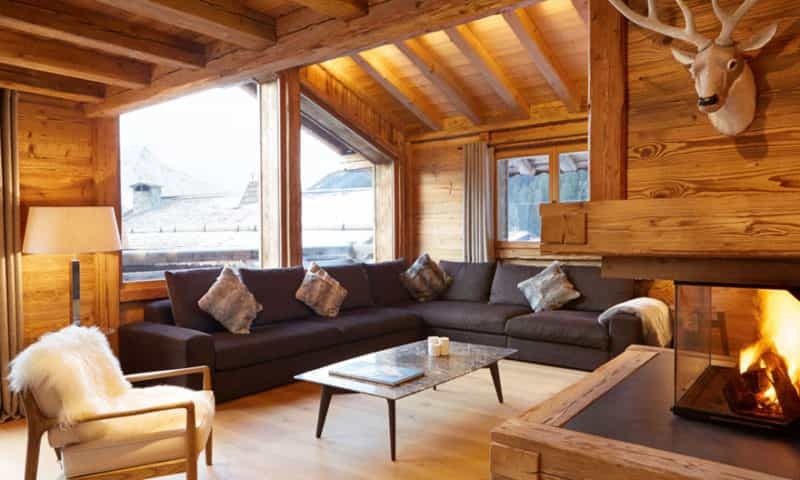 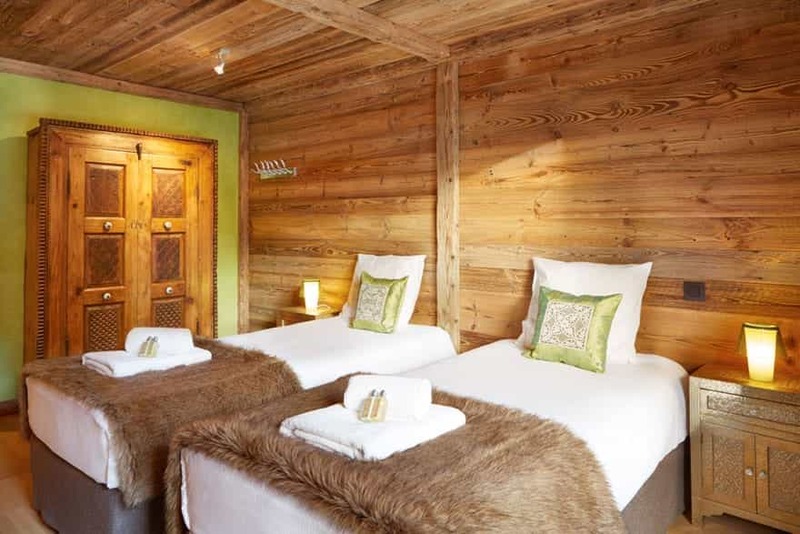 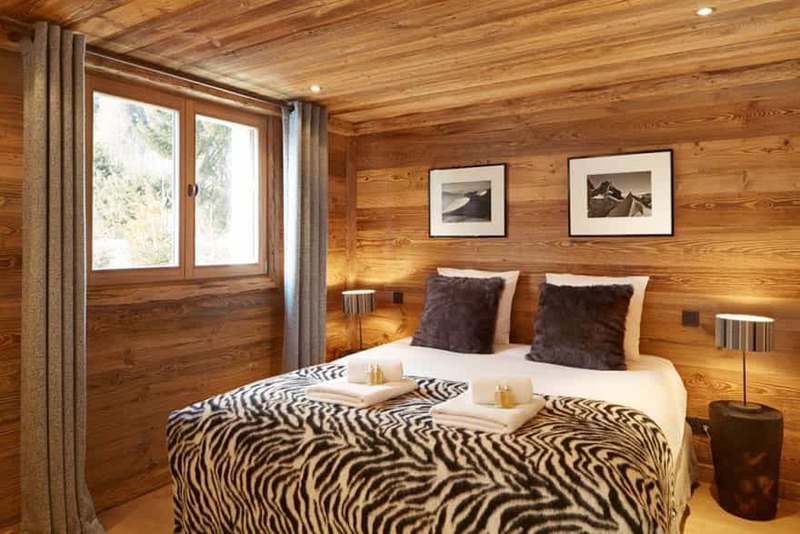 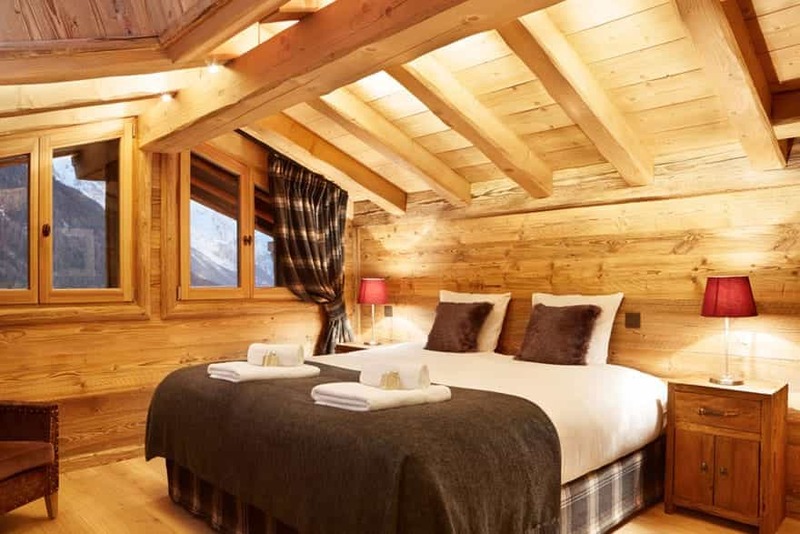 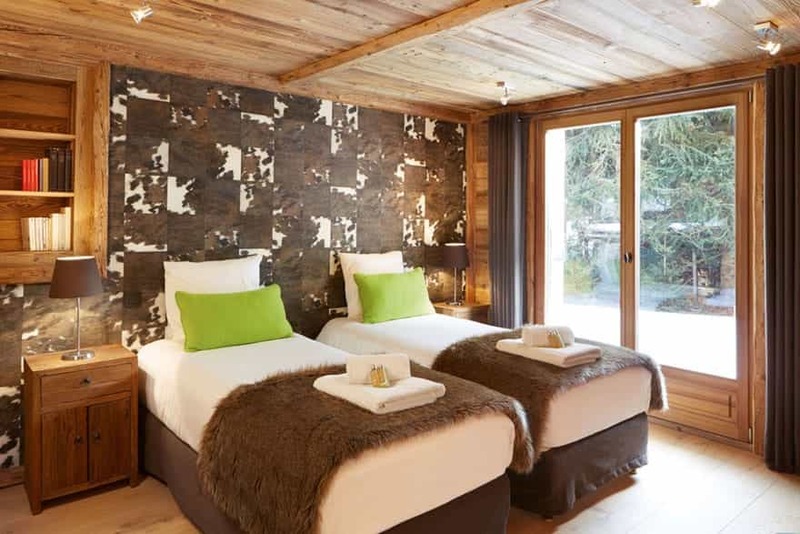 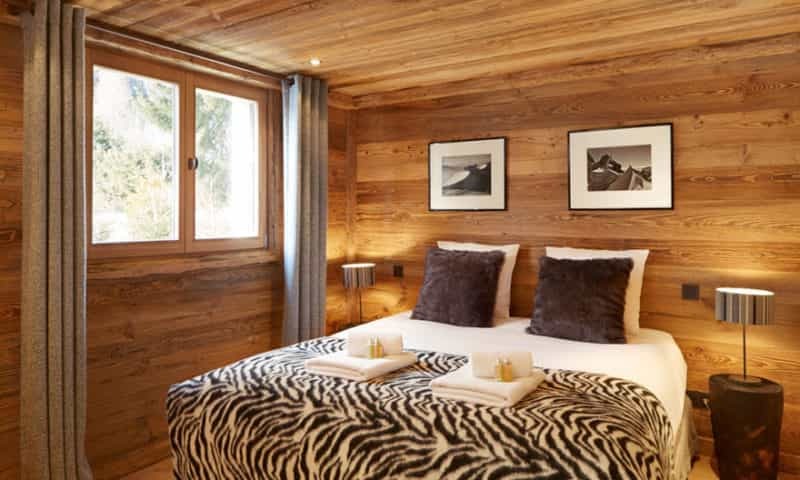 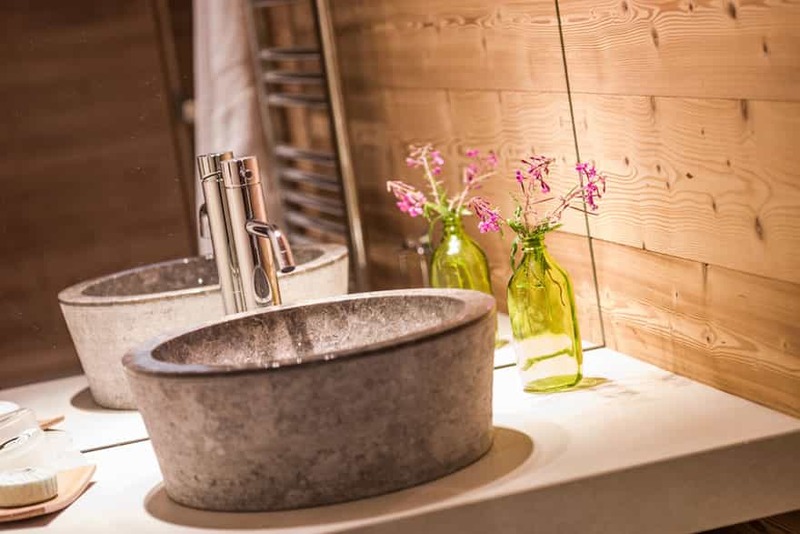 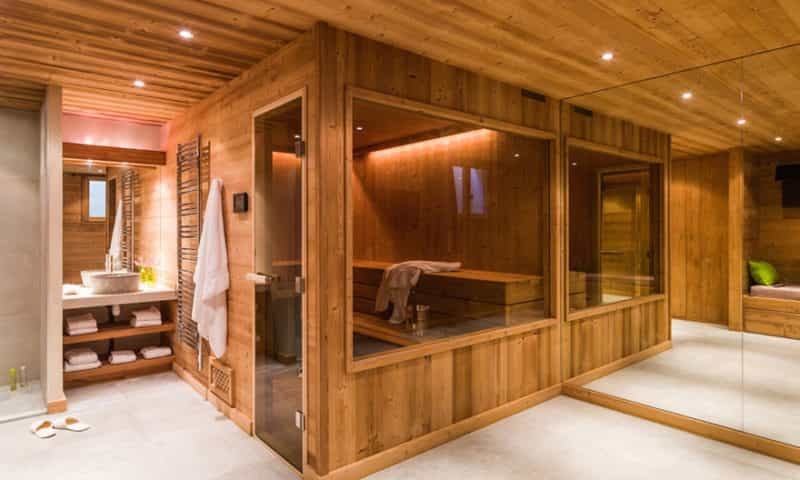 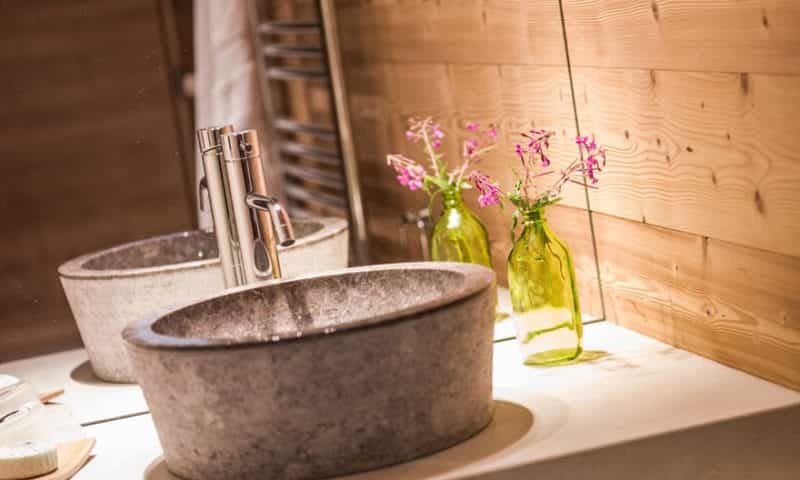 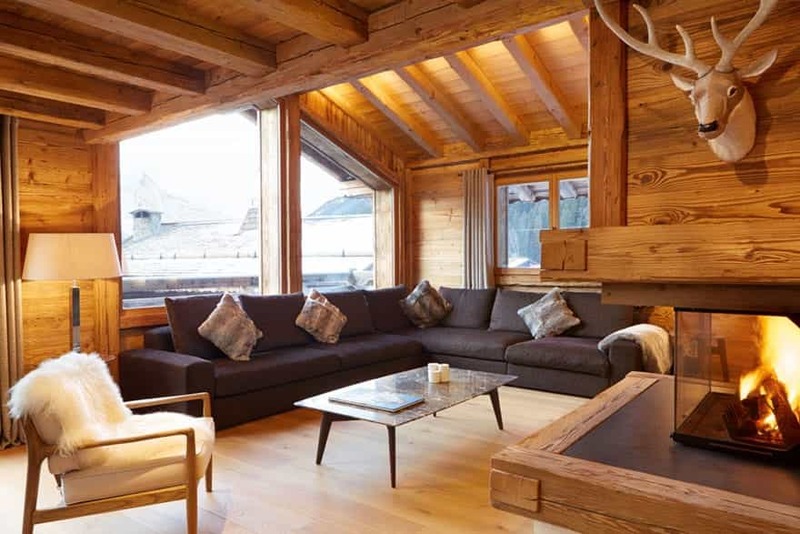 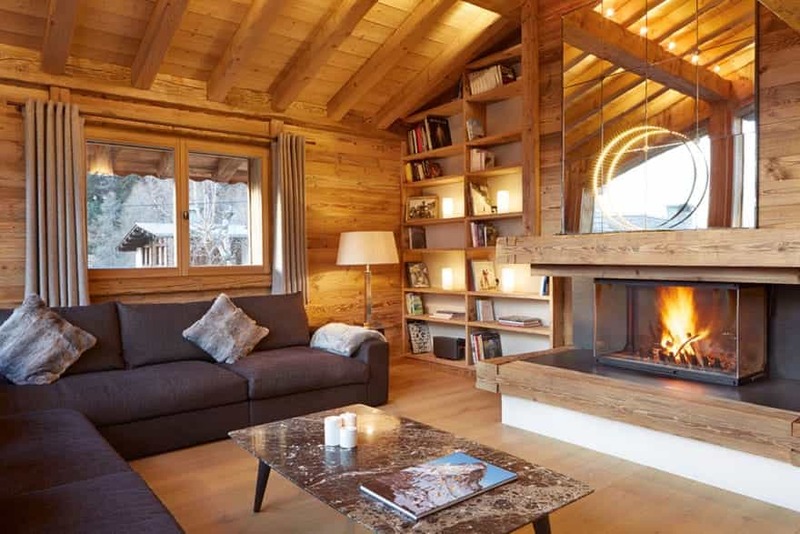 Taking the title as one of the most luxurious chalets to be found within the Chamonix Valley, Marmotte Mountain Zenith (1) sleeps 10-16 guests within its hugely spacious 360sqm surface area. 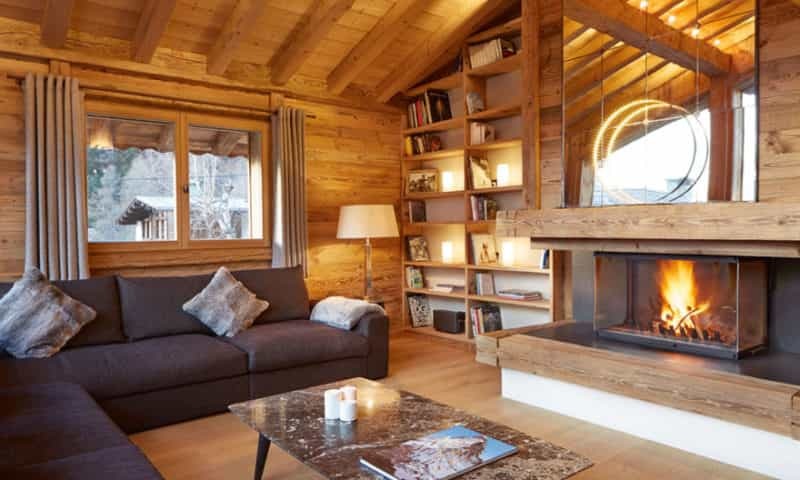 Marmotte Mountain Zenith (1) enjoys a lovely location in the heart of the old village of Argentiere. 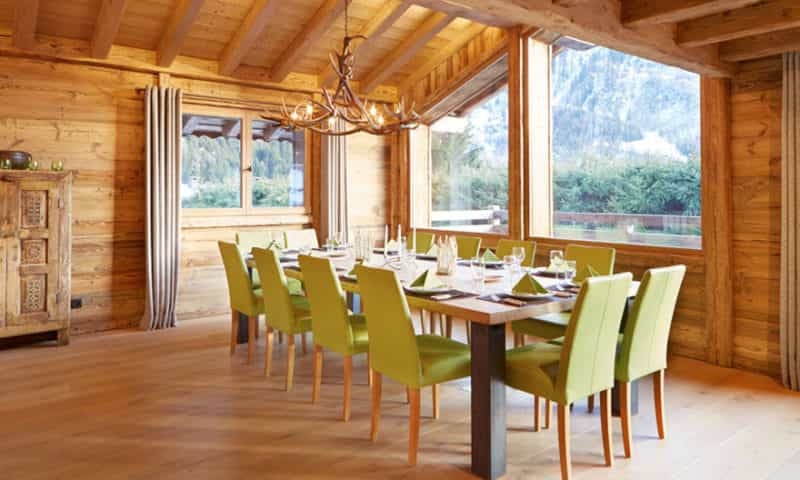 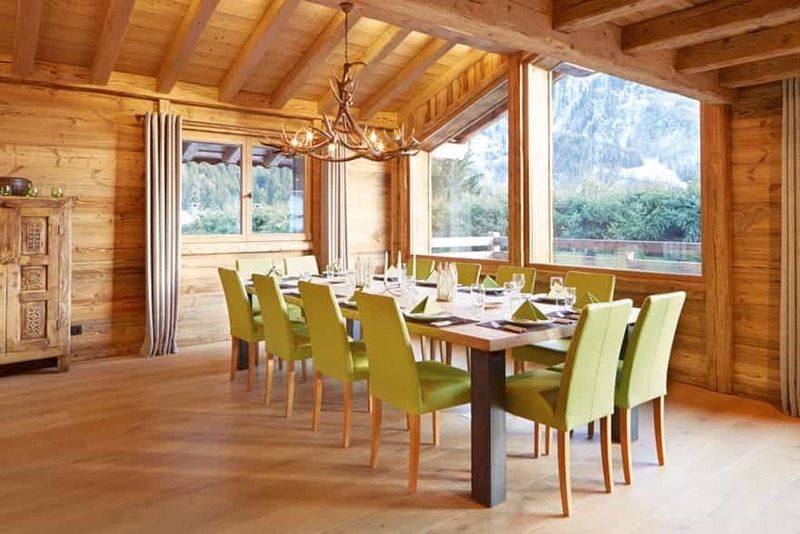 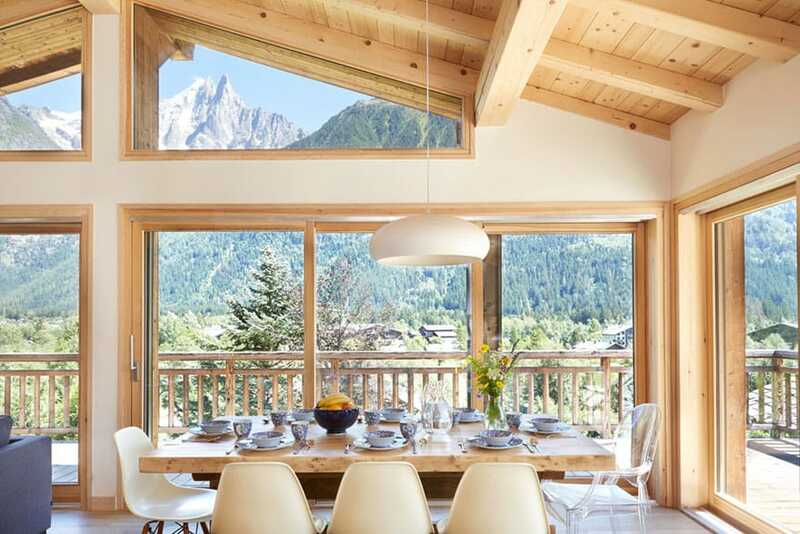 With its south west facing exposure and ceiling to floor glass windows, the chalet offers breathtaking panoramic views of the Mont Blanc Mountain range and of the les Grands Montets ski resort and glacier. 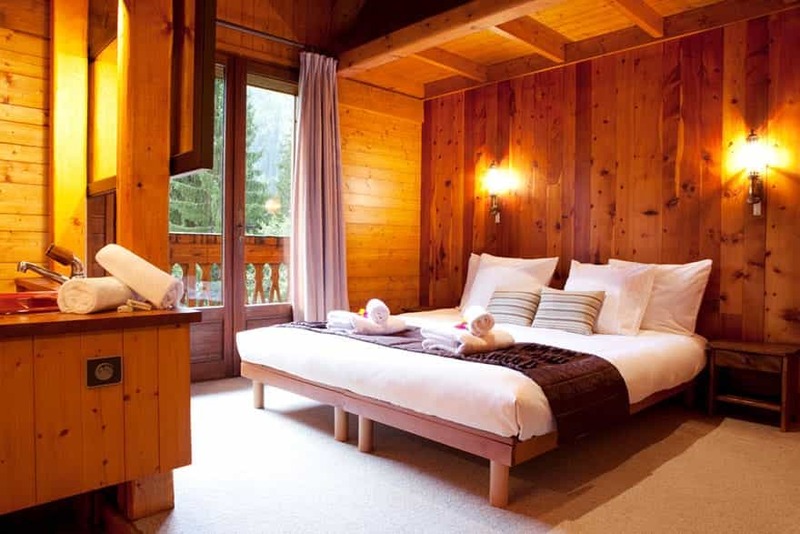 Access to Argentiere village centre on foot – less than 5 mins. 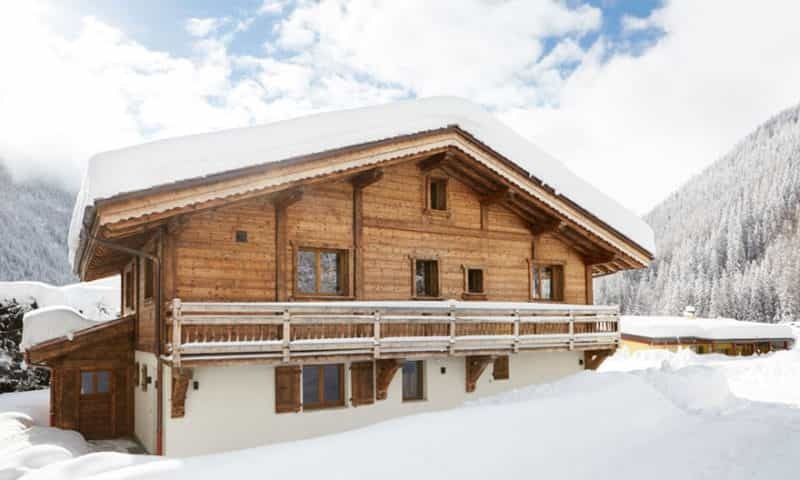 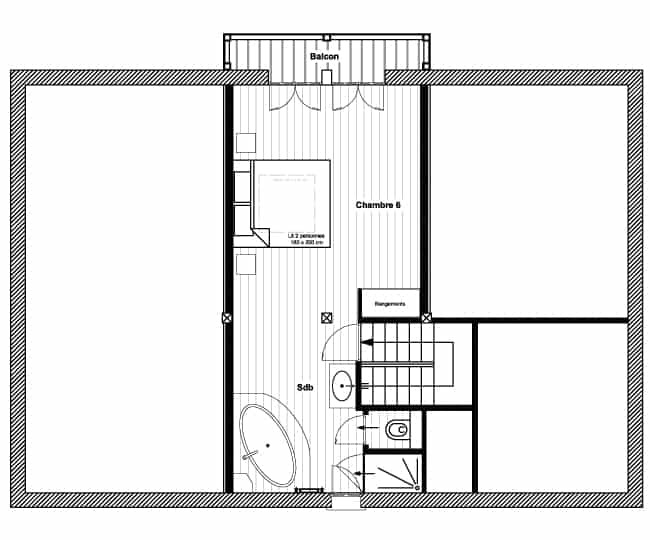 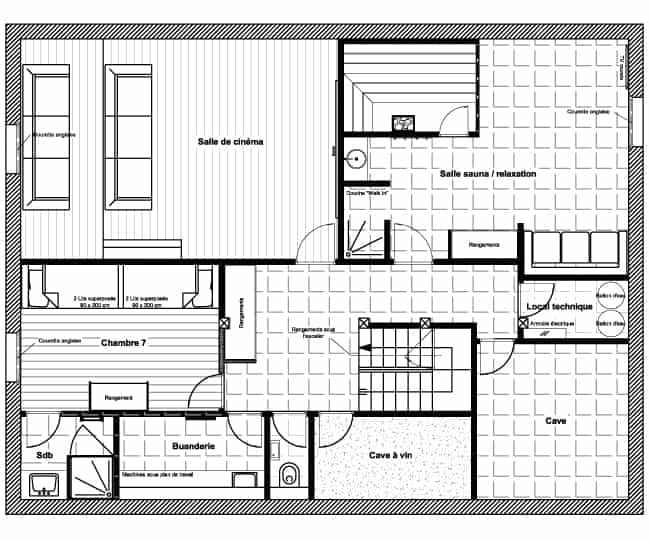 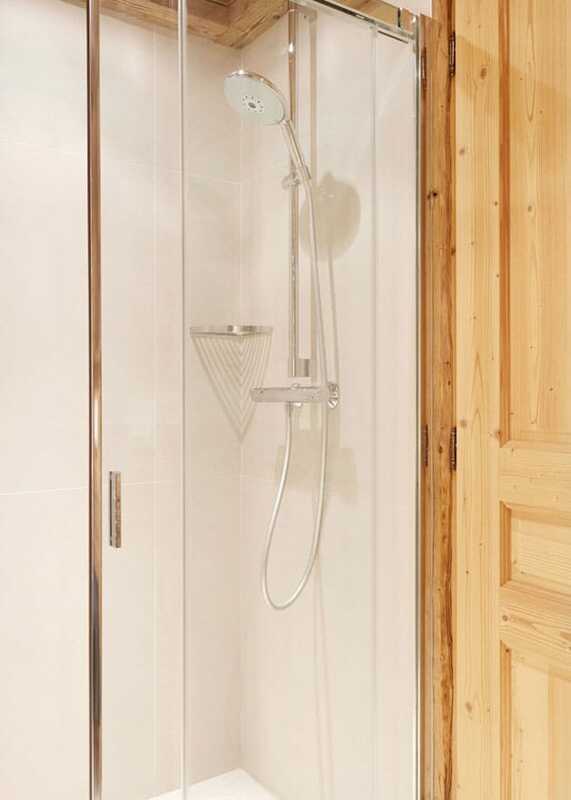 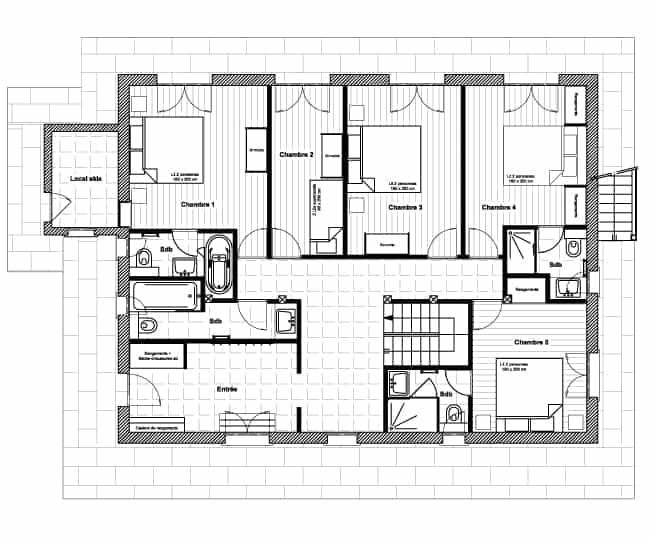 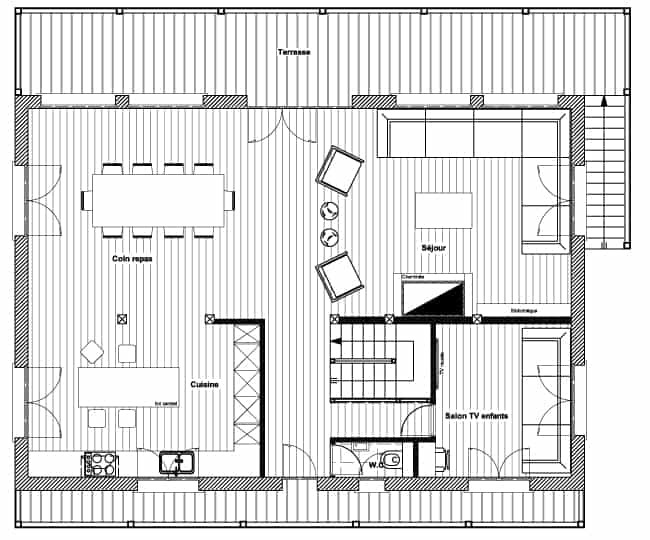 Marmotte Mountain Zenith (1) is ideally located in the heart of the old village of Argentiere. 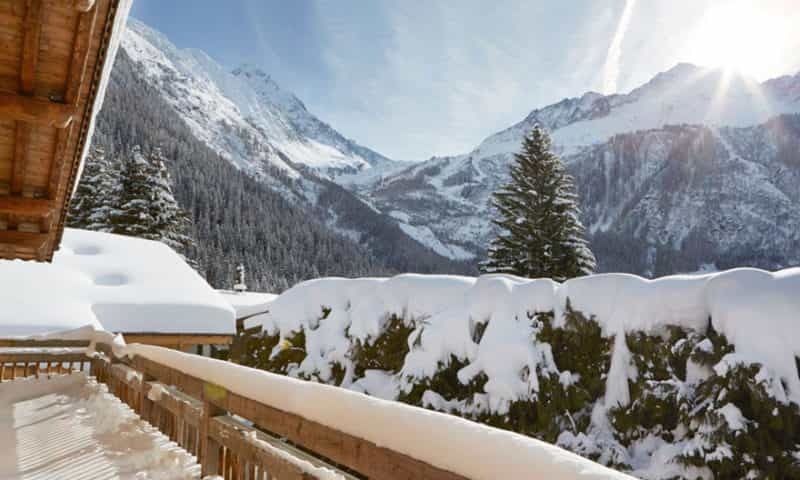 To reach the village centre of Argentiere is merely a few minutes on foot. 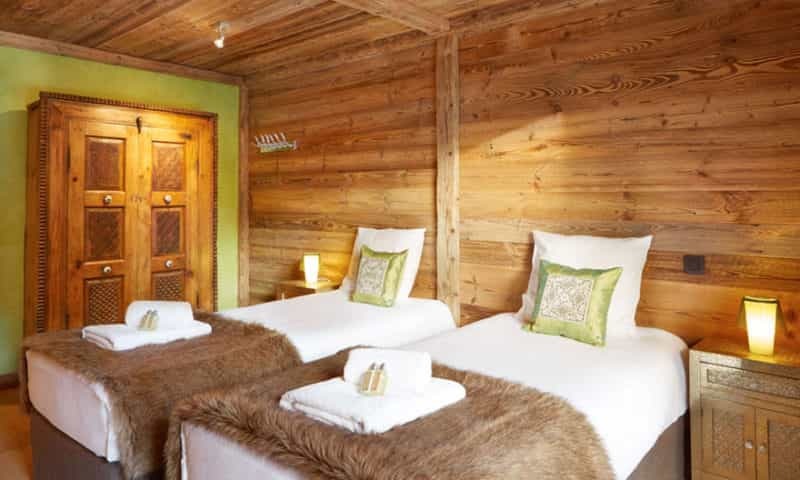 The old village of Argentiere is a beautiful, traditional Savoyard village with architecture dating back to the 18th century. 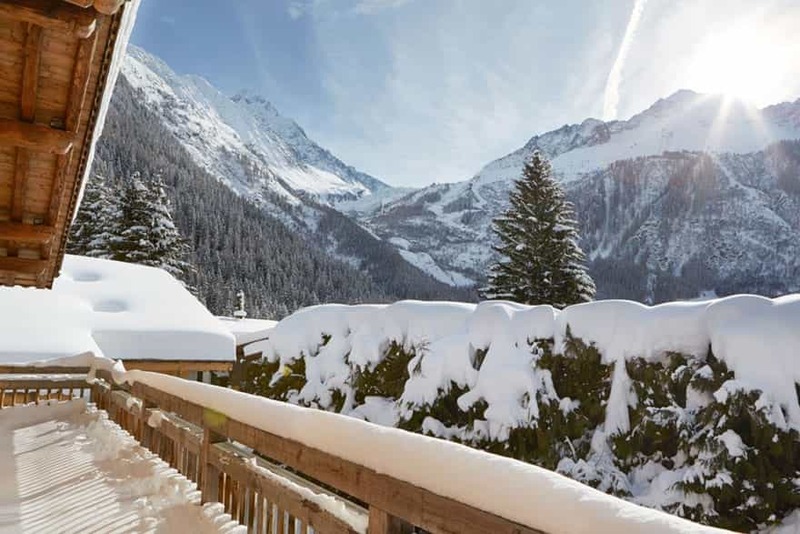 Just going for an evening stroll thru the village can often be a highlight for many visitors and keen photographers. 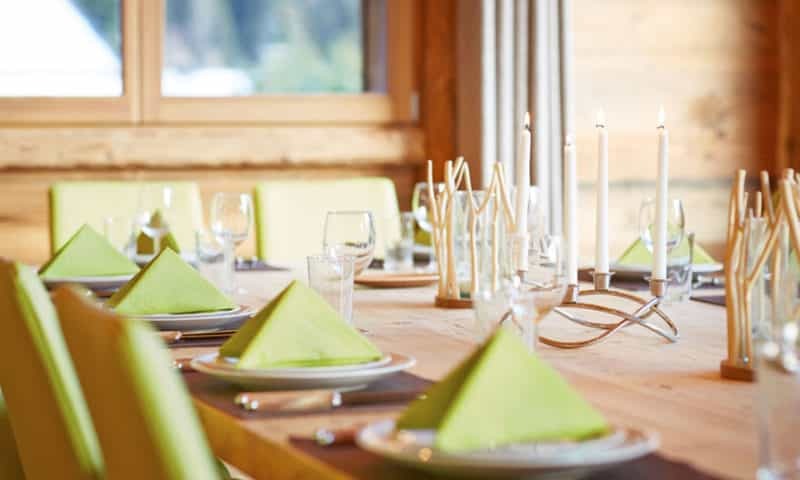 The village has a great range of bars and restaurants, a supermarket, a newsagent, a doctor, pharmacy and many other speciality shops catering to a wide range of needs. 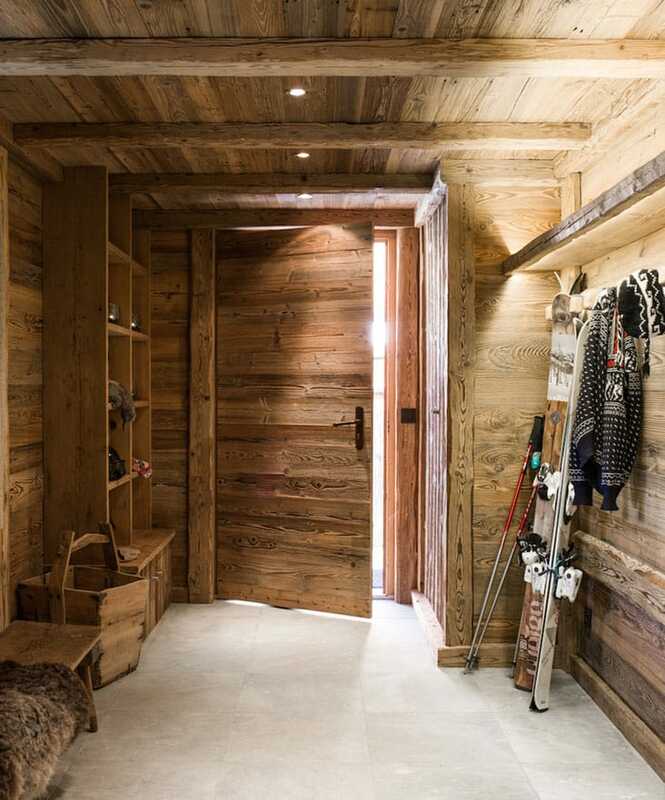 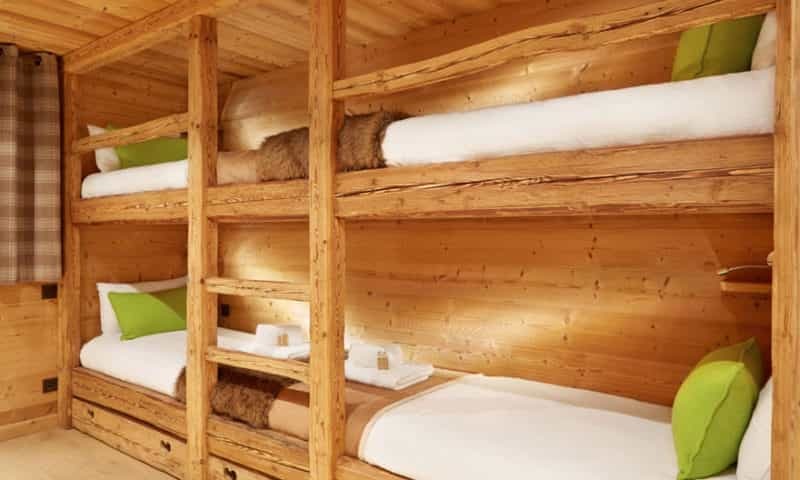 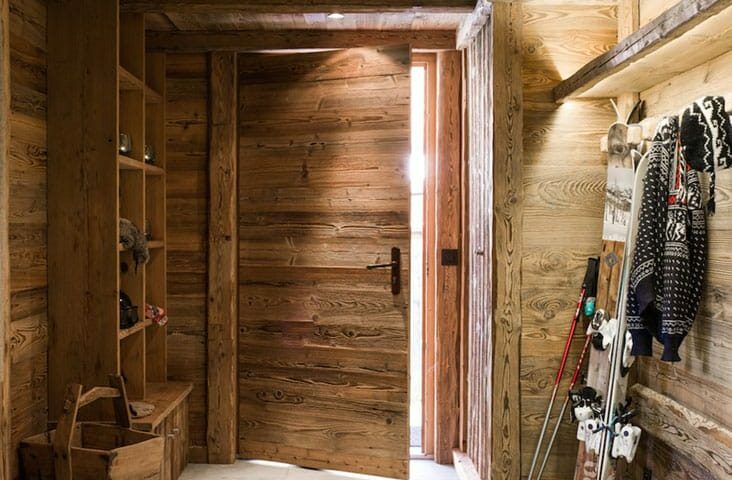 If guests prefer to make their way to les Grands Montets ski area on foot, they can walk through the back of Argentiere and onto the cross-country ski track to join the homepiste. 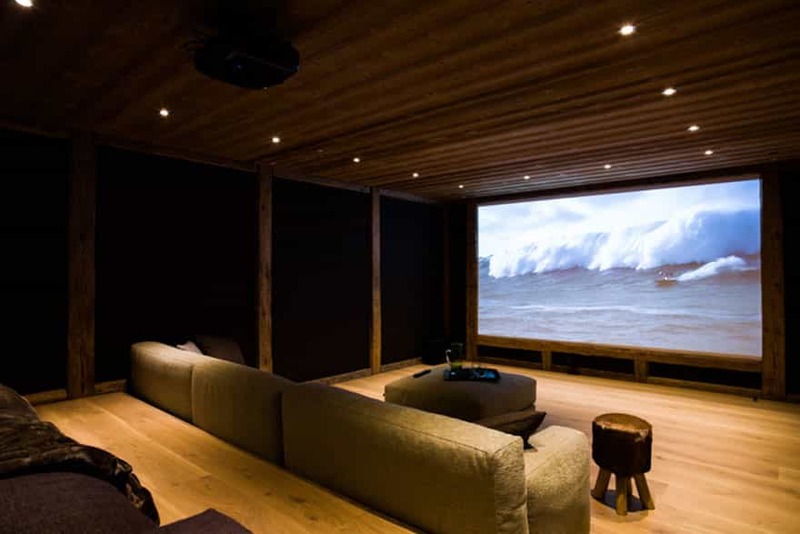 This takes approximately 10-15 mins. 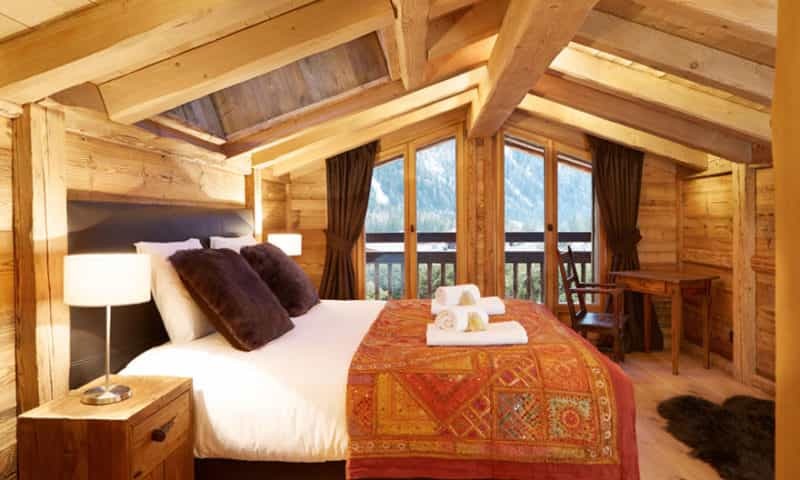 Marmotte Mountain Zenith (1) enjoys spectacular south west exposure, ensuring lots of sunshine and fantastic panoramic views of infamous Mont Blanc and les Grands Montets ski resort and glacier. 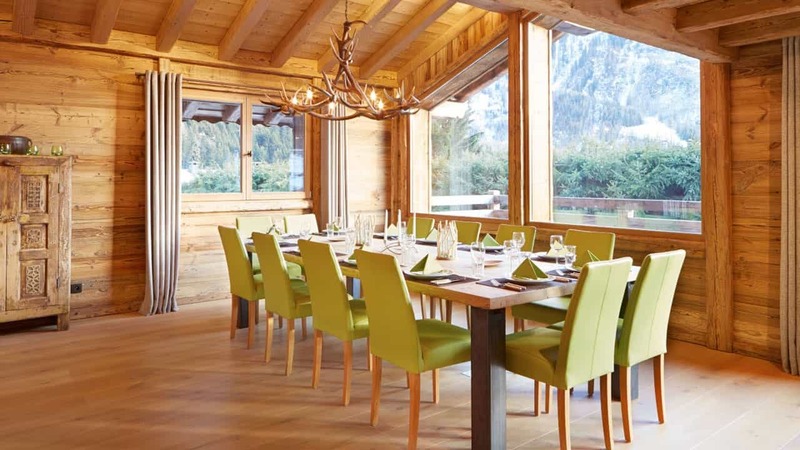 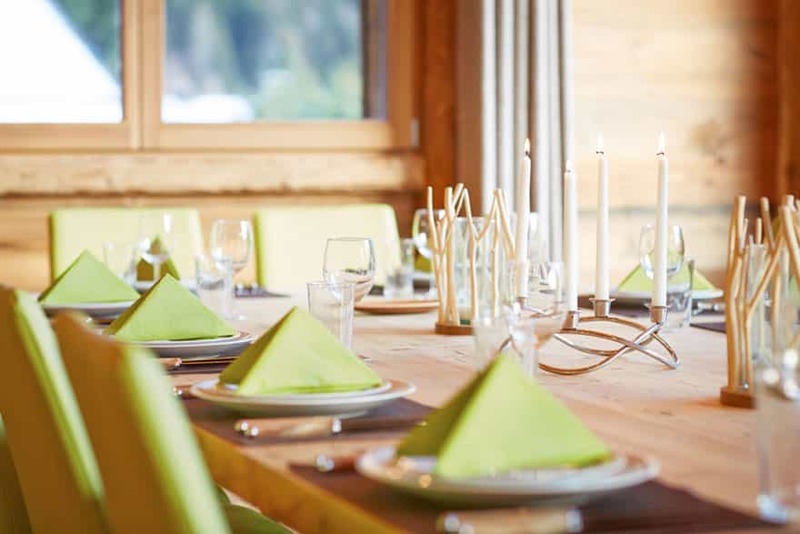 To your right, guests can also enjoy the lovely view of the Aiguilles Rouges mountain range. 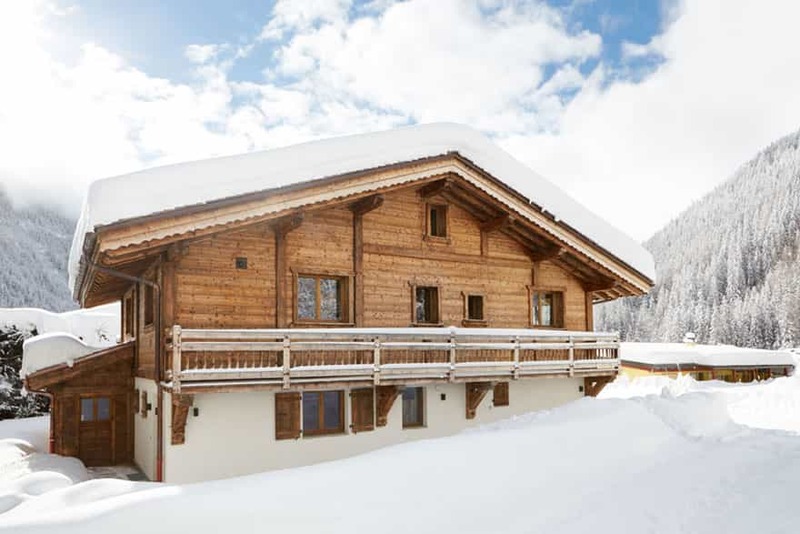 Ideally positioned to access all ski areas for all skiing abilities within the valley. 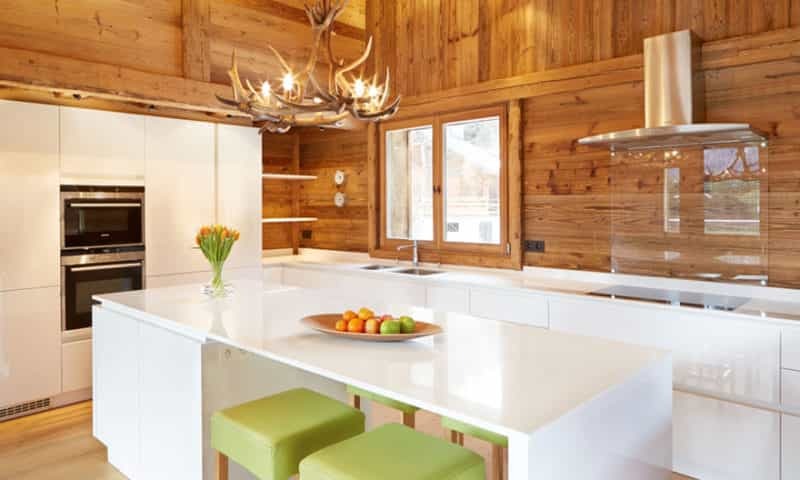 Marmotte Mountain Zenith (1) creates a unique luxurious ambience by blending contemporary quality furniture with traditional mountain chalet architecture.